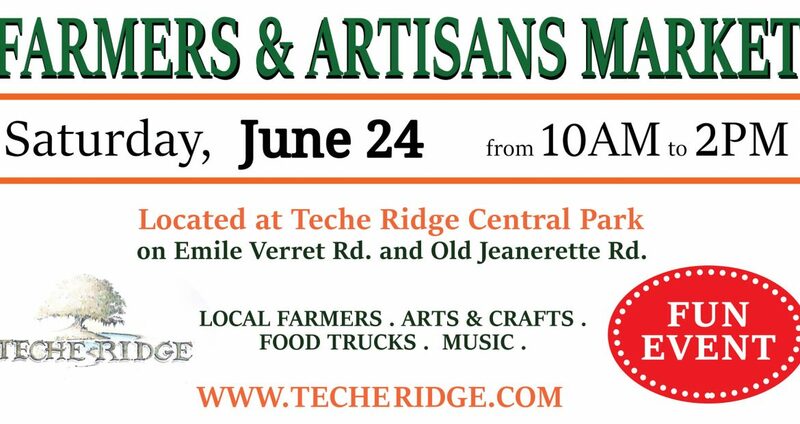 Saturday, June 24, 2017 from 10 am – 2 pm at Teche Ridge, A Master Planned Community’s Central Park. Please spread the word! We’ll have 30+ vendors local farmers, food truck, arts & craft vendors, music, recipe swap and more! The exquisite NEW showcase home will be open for viewing, along with 3 additional new homes.